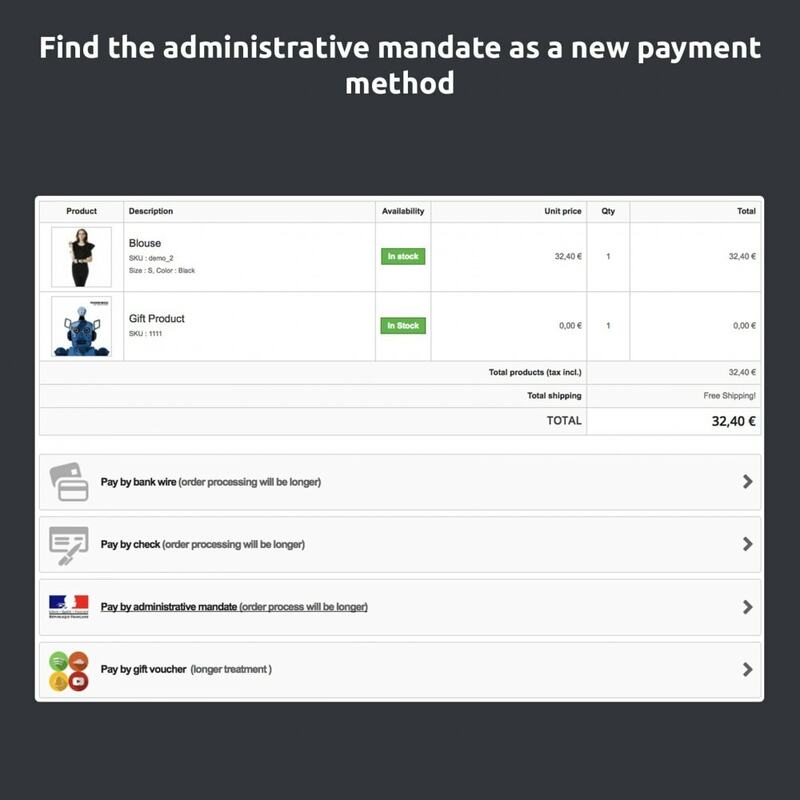 Offer the Administrative mandate payment solution in a totally integrated way to your PrestaShop business website: no specific treatment, each order with this payment option is managed as a payment by check. 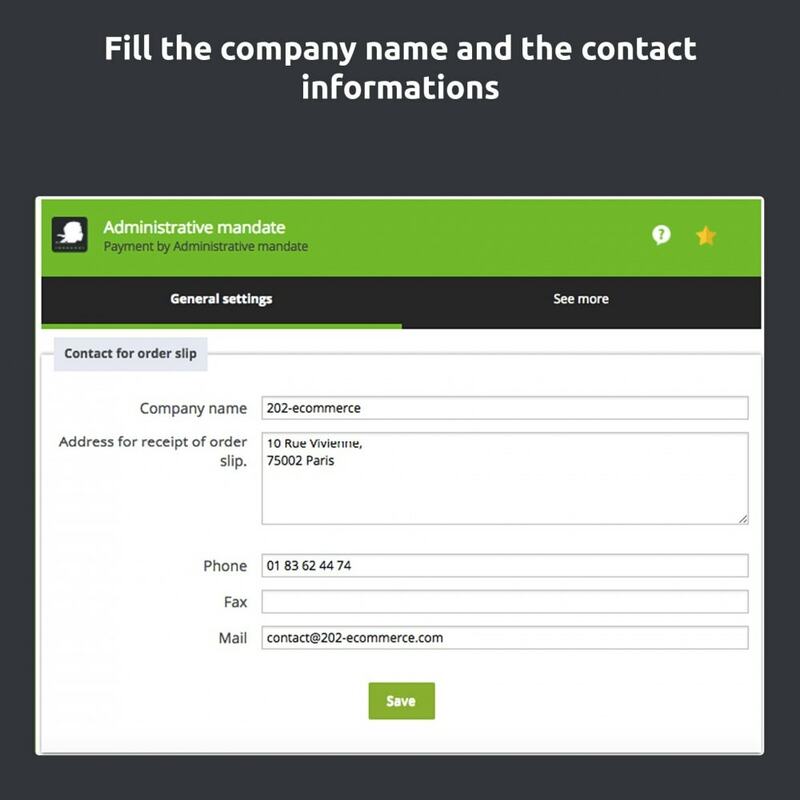 3 – The customer completes and sends you the document by fax or mail. 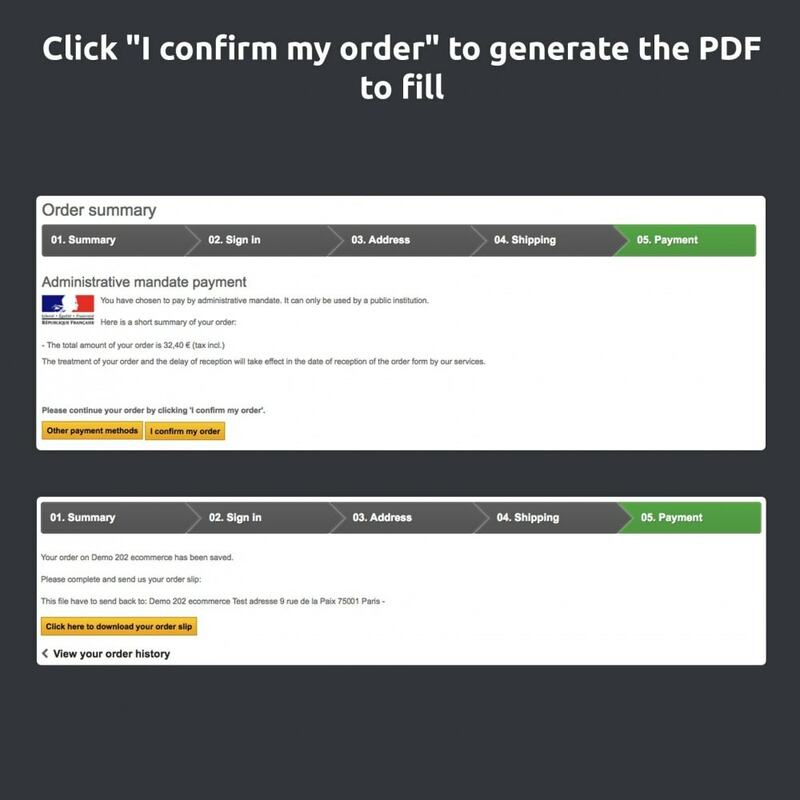 4 – You can send the order ! You can modify the explication text if you want to setup a particular mandate reception, see screenshots. 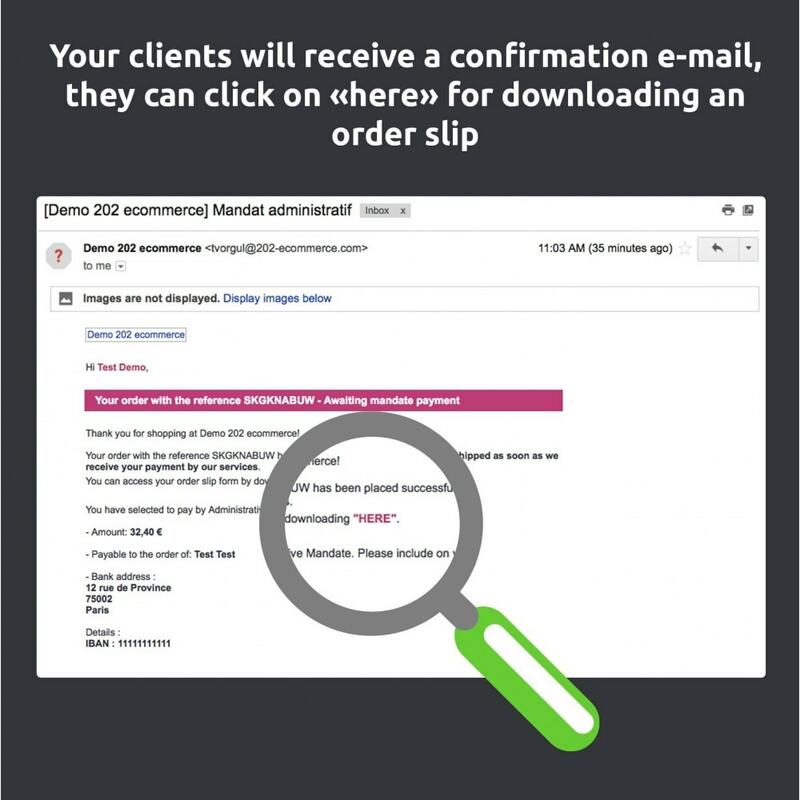 During the order confirmation, a mail is sent to the customer with a link for downloading the mandate. 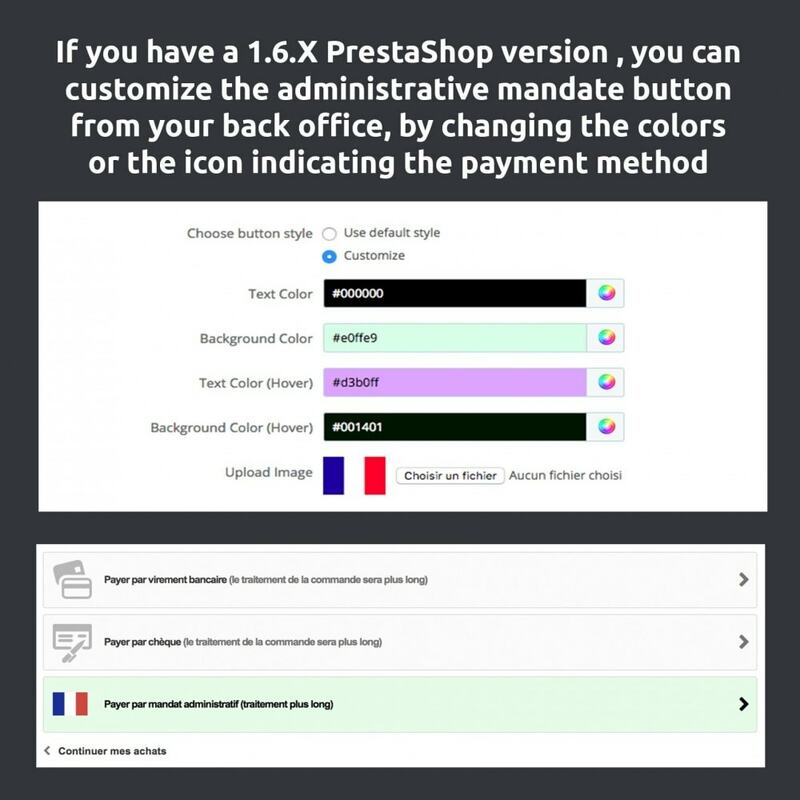 For owners of 1.6.X versions, it is possible to customize several elements of the administrative mandate button as the background color or the addition of an icon when the customer will have to choose the method of payment. We suggest to you the “Advanced Loyalty Program” Module. This is the best module for customer rewards points! 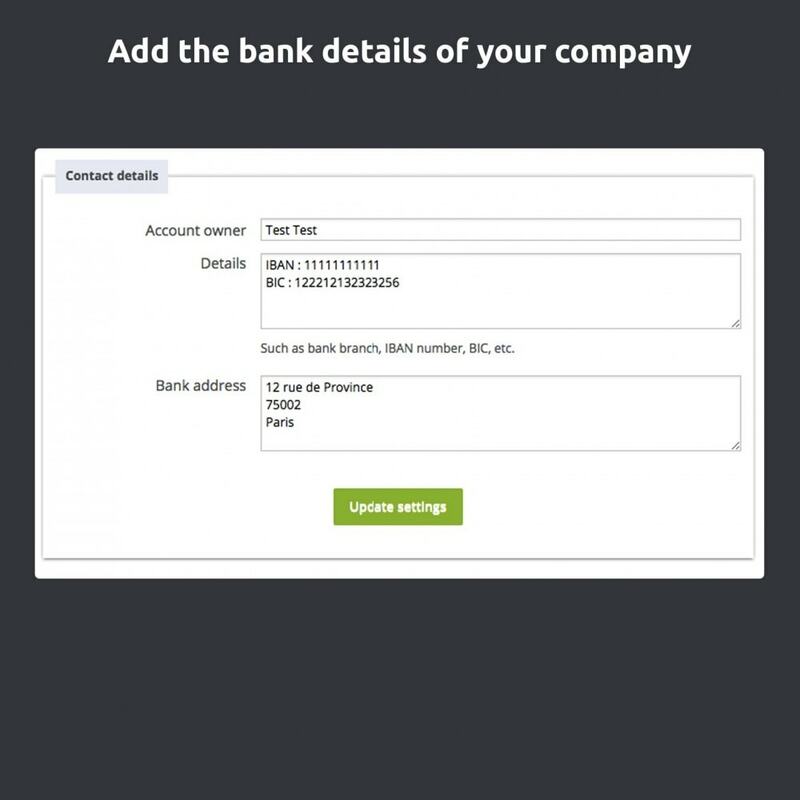 Customize the number of points awarded for each product purchase, enter the details of points assignment to your customers, and add or delete points manually. Web agency specialized in e-commerce web sites, we adapt web technologies to online sales. Composed of passionate web professionals in online sales, we are working alongside e-businessmen enlivened by the same wish to always sell more. 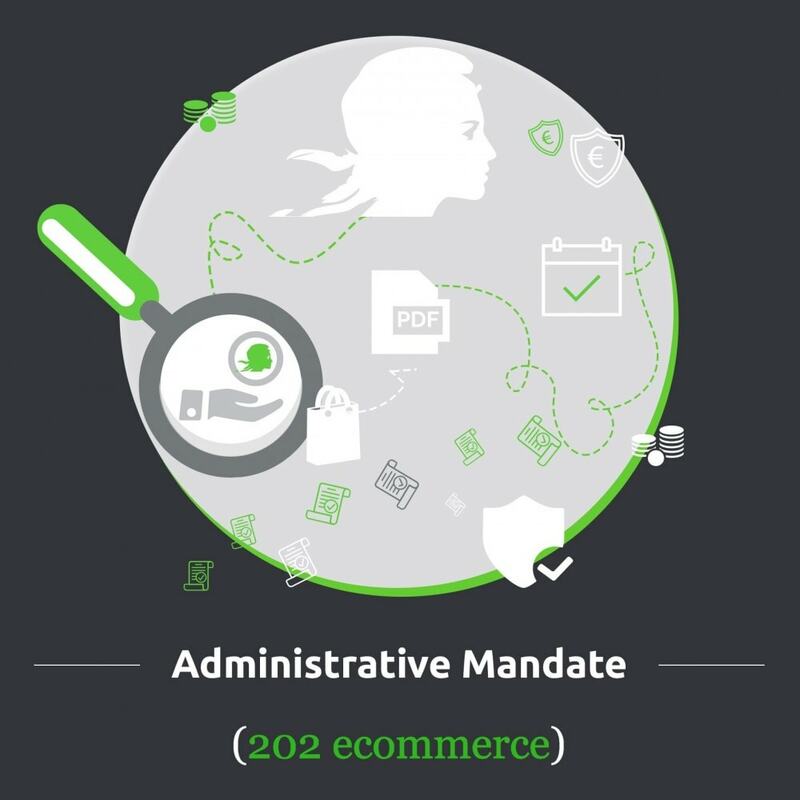 This module allows French administrations and communities to regulate their purchases to your website by using their main mode of regulations: the administrative mandate. 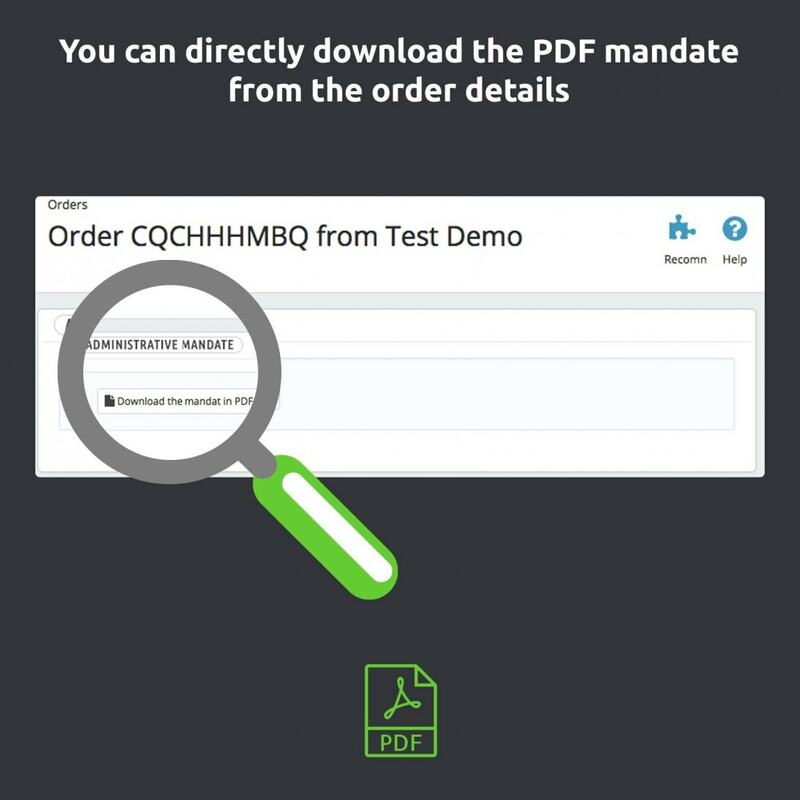 Our module does not ask to upload the fulfilled mandate to validate an order. 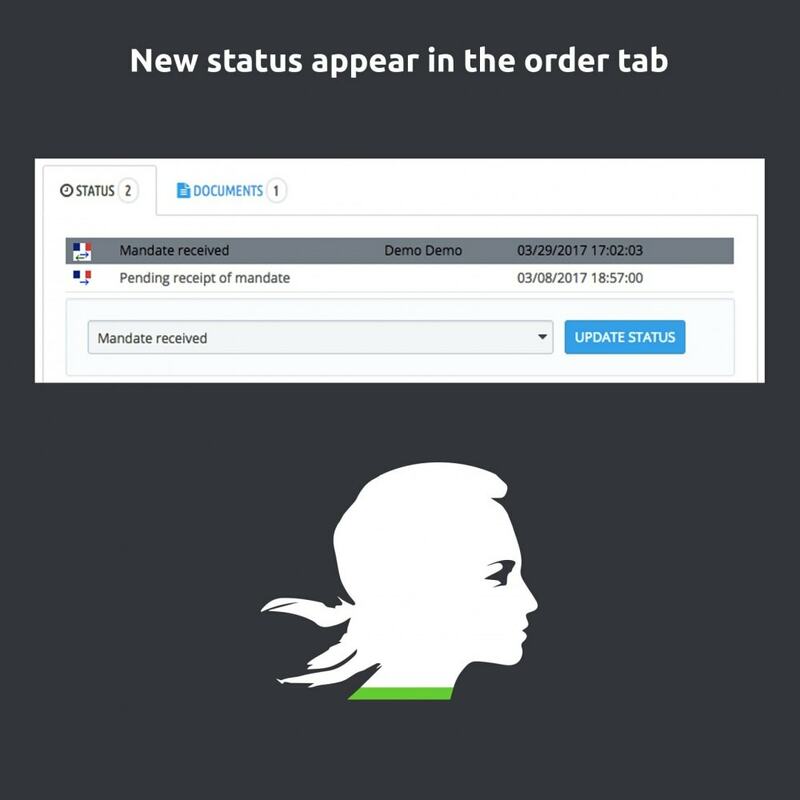 The reason is simple: uploading the completed document requires ability to scan the document, which can be complicated and be a reason to abandon the order. 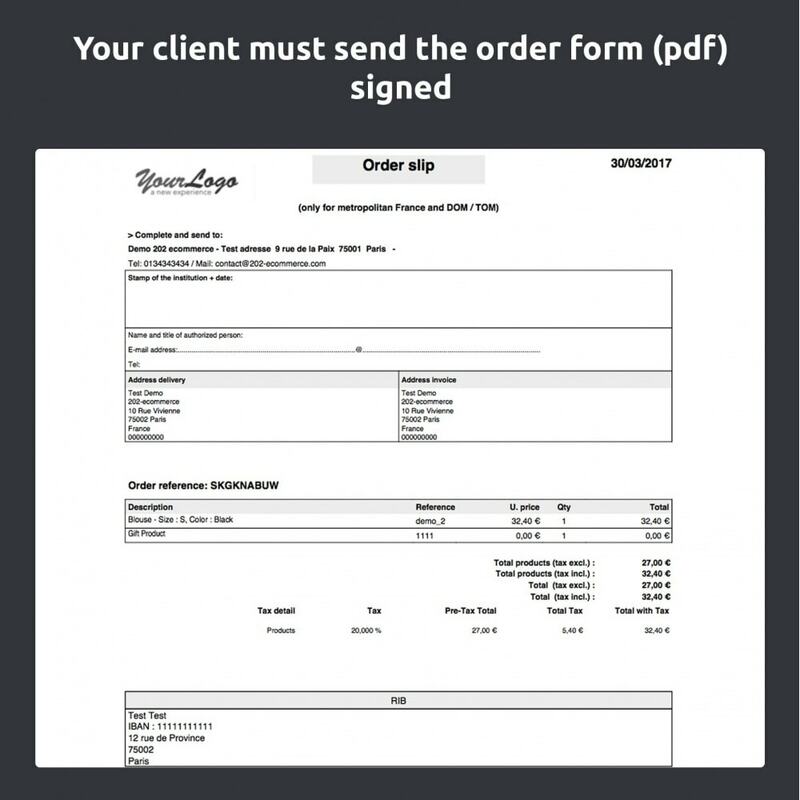 After ordering, customer can choose to send the document by fax or mail.